08 Dec Sunset Session Share! 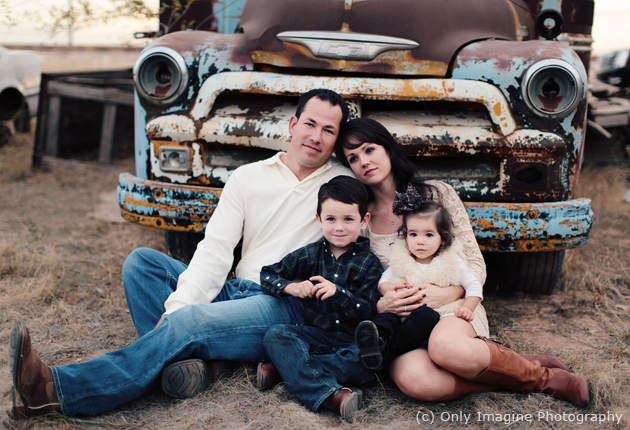 Inspiration: This is such a beautiful family, and when I was thinking about their session, I talked with the Mom. We planned on our locations and how the session would go. I loved the old bus, and my favorite locations were the open field with perfectly lined trees, and the perfect sun-setting light. She and I had our ideas of how we wanted the images to end up, and I am so happy with what we got. It is exactly as I had pictured it. Favorite Element: I loved during the session when we were in the field, the sun was just setting, and I captured the Mom with her daughter. It was not a planned moment at all. Dad was getting big brother dressed, Mom was keeping daughter happy and it was perfect capturing their relationship. I love when I can capture a family with emotions, you can just see the love they share. Biggest Challenge: I feel like the biggest challenge to this and every family session I do is getting the children to smile all at the same time. Plus add in wanting them to be as natural as possible. My assistant Beki does a wonderful job at doing everything possible to make them happy and smiling. We even have a handful of suckers in my camera bag that everyone gets once the session is over, sometimes one child might end up with 2 or 3!! Whatever it takes to get the cute face! What the Client Said: One thing the client kept telling me is how stressed out she had been thinking of this session, then getting everyone dressed, worried everyone will be happy. I always try to make my sessions the most relaxed and comfortable that they can be, and fun for the children. In the end she said it was such a fun session, and fell in love with her final images. My name is Laura Hernandez. I am a passionate lifestyle photographer based out of Monterey, California. I’m married to the most amazing man in the world and we have two beautiful daughters. In my mind, I am ALWAYS thinking about photography. It never ends. My brain takes snapshots everywhere I go. You’re portraits are amazing. I hope to have a smidgen of your talent someday.